WASHINGTON — Interior Secretary Ryan Zinke spent more than $53,000 on three helicopter trips this summer, including one that allowed him to return to Washington in time for a horseback ride with Vice President Mike Pence, newly released records show. Records released by the Interior Department in response to a Freedom of Information Act request show Zinke spent more than $39,000 on a July helicopter tour above two national monuments in Nevada. Zinke was considering whether to recommend downsizing the two sites, which total more than 1 million acres in southeastern Nevada. He also spent $8,000 on a round trip to an emergency management exercise in Shepherdstown, West Virginia, and $6,200 to and from Yorktown, Virginia, to tour a Revolutionary War battlefield and attend a boating industry round table. Zinke immediately went horseback riding with Pence and other officials after returning from Virginia. The helicopter trips were first reported by Politico. Shepherdstown is about 72 miles from Washington — less than a two-hour drive — while the Yorktown battlefield is about 160 miles away, about a three-hour drive without traffic. Zinke attended the June 21 swearing-in ceremony of Rep. Greg Gianforte, R-Mont., who won a special election to replace Zinke in Congress. Gianforte earned widespread notoriety after assaulting a reporter the day before his election. Spokeswoman Heather Swift said Friday that Zinke's attendance at Gianforte's swearing-in prevented him from driving to the West Virginia briefing. Zinke used a U.S. Park Police helicopter to fly back and forth with another Interior official to Yorktown on July 7. Zinke "did an aerial survey of a power line corridor, which was pending before the department, while traveling back from meetings in southern Virginia in order to get to a meeting with the vice president," Swift said. After returning to Washington, Zinke went on a horseback ride through Rock Creek Park with Pence, Sen. Roy Blunt, R-Mo., and Medicare administrator Seema Verma. The helicopter use in Nevada "was an aerial survey of a more than million-acre swath of land that has few roads," Swift said. Zinke and other Cabinet members have faced questions about their travel after Health and Human Services Secretary Tom Price was forced to resign amid criticism for using costly chartered planes while on government business. Zinke has dismissed the controversy as politically motivated "bull" and said all his travel has gone through proper review. 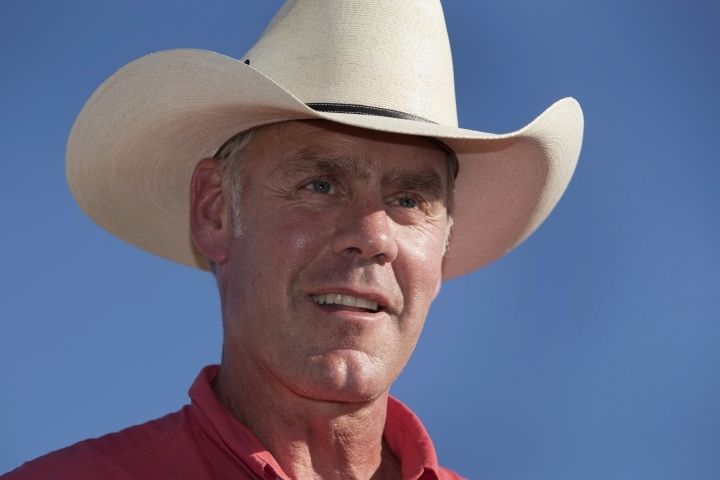 Sen. Maria Cantwell of Washington state, the top Democrat on the Senate Energy and Natural Resources Committee, said the Interior's inspector general should add Zinke's use of taxpayer-funded helicopter rides to an ongoing investigation of Zinke's travel practices. "If the secretary misused public funds, he should write the treasury a check for the full amount and apologize, Cantwell said.